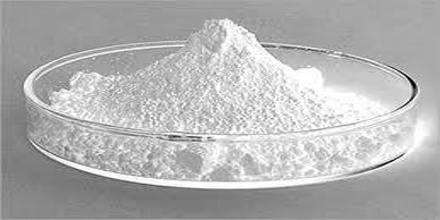 Zinc chloride (ZnCl2) is a white, water-soluble crystalline compound used as a wood preservative, as a soldering flux, and for a variety of industrial purposes, including the manufacture of cements and paper parchment. Its solution is a colorless liquid. It is mildly corrosive to metals. It causes burns to eyes, skin and mucous membranes. ZnCl2 itself is hygroscopic and can be considered deliquescent. Samples should therefore be protected from sources of moisture, such as the atmosphere. Zinc chloride finds wide application in textile processing, metallurgical fluxes, and chemical synthesis. No mineral with this chemical composition is known aside from the very rare mineral simonkolleite, Zn5(OH)8Cl2·H2O. Zinc chloride is available from Zaclon, Inc. as a granular solid, or in the form of aqueous solutions ranging in concentration from 50 to 70%. Solution color is water white to light straw. Zinc chloride finds wide application in textile processing, metallurgical fluxes and chemical synthesis. 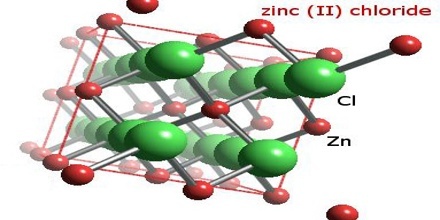 Four crystalline forms (polymorphs) of ZnCl2 are known: α, β, γ, and δ, and in each case the Zn2+ ions are tetrahedrally coordinated to four chloride ions. The pure anhydrous orthorhombic form (δ) rapidly changes to one of the other forms on exposure to the atmosphere and a possible explanation is that the OH− ions originating from the absorbed water facilitate the rearrangement. Rapid cooling of molten ZnCl2 gives a glass. Five hydrates of zinc chloride are known, ZnCl2(H2O)n where n = 1, 1.5, 2.5, 3 and 4. The tetrahydrate ZnCl2(H2O)4 crystallizes from aqueous solutions of zinc chloride. ZnCl2 is an ionic solid, although some covalent character is indicated by its low melting point (275 °C). Further evidence for covalency is provided by its high solubility in solvents such as diethyl ether. ZnCl2 is a mild Lewis acid. Consistent with this character, aqueous solutions of ZnCl2 have a pH around 4. It is hydrolyzed to an oxychloride when hydrated forms are heated. 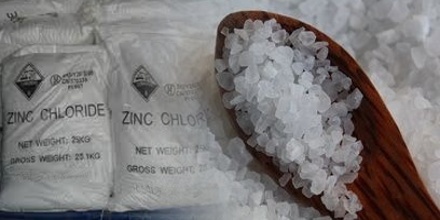 Zinc chloride is the name of chemical compounds with the formula ZnCl2 and its hydrates. 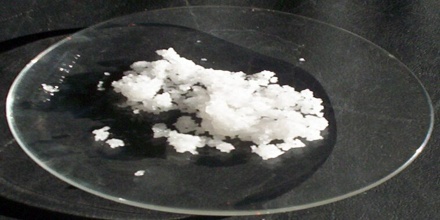 Zinc chlorides, of which nine crystalline forms are known, are colorless or white, and are highly soluble in water. ZnCl2 itself is hygroscopic and even deliquescent. It is used as a flux for soldering because of its ability (when molten) to dissolve metal oxides. Typically this flux was prepared by dissolving zinc foil in dilute hydrochloric acid until the liquid ceased to evolve hydrogen, for this reason such flux was known as killed spirits. 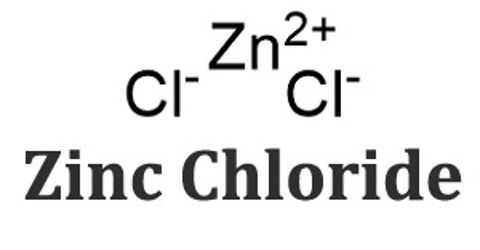 Zinc chloride reacts with sulfide to minimize release of H2S gas in waste treatment facilities. High-density solutions of zinc chloride and calcium chloride give good performance in well completion and work-over operations; the solutions also have merit as packer fluids under certain well conditions. It has been used in specialty corrosion inhibitors and invert emulsion breakers. In the laboratory, zinc chloride finds wide use, principally as a moderate-strength Lewis acid. It can catalyse (A) the Fischer indole synthesis, and also (B) Friedel-Crafts acylation reactions involving activated aromatic rings. Zinc chloride induces cross-linking in such polymer formers as the methylol ureas. It is a more active catalyst than magnesium chloride and almost as active as zinc nitrate. It is also a useful starting reagent for the synthesis of many organozinc reagents, such as those used in the palladium catalyzed Negishi coupling with aryl halides or vinyl halides. In such cases the organozinc compound is usually prepared by transmetallation from an organolithium or a Grignard reagent. Reference: Zinc_chloride.htm, zaclon.com, dictionary.com, wikipedia.